THE CENTRAL BANK has identified an additional 1,700 banking customers who were denied a right to, or the option of, a tracker interest rate on their mortgage. The latest Central Bank report in to the examination of how customers were denied tracker rates on their mortgages – resulting in them paying higher interest rates then they should have – was published this morning. The report states that 9,900 impacted customer accounts have now been identified by lenders, up from 8,200 in December (a rise of 1,700). It states that of the 9,900 affected accounts, 2,600 had received redress or compensation to date worth a total €76 million. The issue of banking customers being denied tracker interest rates on their mortgages has been under investigation by the Central Bank since 2010. A tracker mortgage is a home loan with an interest rate set at a percentage above the fluctuating European Central Bank (ECB) rate (so it goes up and down depending on the ECB rate). It differs from fixed rate mortgages – where the interest rate stays at a fixed level. In 2015, the Central Bank ordered lenders to review tracker mortgage related issues at their banks following its investigations. It has emerged since that customers had been put different interest rates by banks going back over the years. In many cases, customers were switched onto a less favourable variable rate and some ended up paying over the odds for their mortgages. The result of this was some mortgagors were put at risk of losing their properties because they couldn’t afford the repayments. AIB said in November that 14 customers had lost their homes as a result of improper tracker mortgage rates. The report states that lenders are expected to identify all impacted accounts by the end of September 2017. 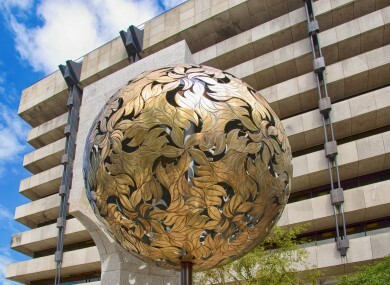 “The immediate focus of the Examination is to ensure that the interests of impacted customers are protected and that lenders prioritise the identification of impacted customers,” the Central Bank said in a statement. The Central Bank will take appropriate supervisory action, up to and including enforcement action where necessary, in order to ensure lenders deliver fair outcomes for impacted customers. Email “Tracker mortgages: €76 million paid out in compensation so far to customers denied proper rates”. Feedback on “Tracker mortgages: €76 million paid out in compensation so far to customers denied proper rates”.